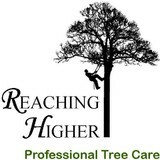 Cutting Edge Tree Professionals is your Central Pennsylvania Tree Service! Our offerings range from pruning, tree removal, cabling maintenance inspection, and lot clearing. We have had experience with homeowners, property managers, and real estate companies for years. Our technicians are well experienced and trained to handle any situation. When it comes to tree services, we always put our customers first. Our mission is to provide the best services while making it as convenient as possible for our clients throughout the whole process. 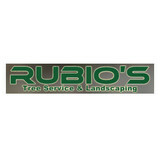 Rubio's Tree Service and Landscaping has been serving all of Lancaster County for 12 Years. We are fully licensed and insured to give you piece of mind. 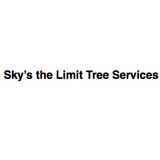 Sky's The Limit Tree Services is a family owned and operated company that has been serving all of central Pennsylvania faithfully. Superfly Bonsai manufacturers bonsai related products including soil, fertilizer, tools, pots and other things that may be needed to perfect your bonsai. Superfly Bonsai is also home to Kiku Bonsai Tools. 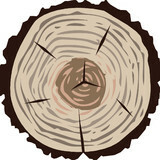 Long Tree Service is a well established tree company in Annville, PA, 17003. Their list of services includes residential and commercial tree and lawn maintenance. Call now for best price! Doug's Tree Service has provided quality tree services to the Lancaster and York areas, for over 20 years. We can assure you we are a reliable, well trained, professional tree service and will provide thorough tree work that you can count on. We have invested in top of line tree equipment to be safe and efficient in our work to carry out any task requested. Doug's Tree Service thrives to help their customers maintain healthy, beautiful trees and shrubs to assist with their property investment. We offer a customer service guarantee for our Lancaster and York tree service customers. We provide tree services for customers in Lancaster and York, as well as the surrounding areas! Call us or e-mail us for a free estimate. Welcome to Douglas Tree Service, We are Lancaster Counties premiere Tree Service. we specialize in affordable Tree Services in Lancaster County, Pennsylvania which include full removals, pruning trees and shrubs, corrective pruning, mulching, and stump grinding . Contact Us at 717-538-8762 for a free estimate.. Tree Service Lititz, Tree Service Lancaster, Tree Removal Service Manheim. No matter the size of your tree service project, we’ve got the professional expertise and the equipment to handle it. Ryan Tree Care is a local small business in the Baltimore County area. We have over 20yrs of experience in the field. American Tree and Stump Removal was established in 2000 as a full service tree company dedicated to customer satisfaction and excellent service. ATR believes in old fashioned service combined with state of the art equipment. Because ATR is family owned and operated, the company is able to incorporate family values into every project we do. The company employs a fully trained staff and conducts in house safety and training programs regularly. In addition to safety and training programs, ATR holds full liability and workers comp insurance. American Tree is available for 24-hour emergency service 7 days a week. Welcome to Arborcare Tree Experts. I am James Yirka, and have 26 years of tree experience. I have owned and operated Arborcare in Maryland for the past 20 years. It has always been my number one goal to own a tree company where customer service is our number one priority. I have the pleasure of employing fifteen employees in which I can say I am proud to have working on our team. Our employees are very dedicated to their jobs and stride to continuously do the best work possible. Our main team leader has been with us for fifteen years and we look forward to many more. My daughter and son in law work with our team ensuring that our customers are always left happy and eager to return to us for services. On any give day you will find one of our crews in your community – Carroll County or surronding areas – Pikesville, Owings Mills, Towson, Glen Burnie, Lutherville, Baltimore City, Essex, Dundalk, Bel Air, and all over Maryland! Our service area includes Anne Arundel County, Baltimore County, Baltimore City, Carroll County, Frederick County, Harford County and Montgomery County I would like to say Thank-you for our long term customers who continue to return to us for their entire tree and lawn care needs. For all of our new customers we look forward to meeting you and appreciate the opportunity to work with you. We provide all aspects of tree and landscape maintenance, preservation, and planting services for both residential and commercial properties in the Baltimore metropolitan area. Allegheny Hill Stump Grinding prides itself on being the go-to choice for clients looking for Stump Grinding and Stump Removal services. Are you concerned about the health of the trees on your New Market property? Tree service professionals can help with pruning, cable bracing and other residential tree care services in your New Market, PA backyard. Your New Market, PA tree service professional or arborist might work in conjunction with another landscape professional to create a seamless landscape design. Here are some related professionals and vendors to complement the work of tree services: Landscape Contractors, Landscape Architects & Landscape Designers, Garden & Landscape Supplies. Find tree service professionals on Houzz. Look in the Professionals section under New Market, PA tree services. You can look through portfolios and read reviews to see what past tree care clients have to say.